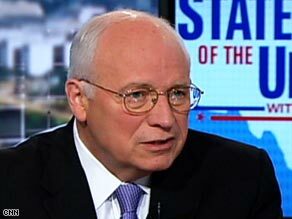 No War on Terror; No, Wait: I Like To Know What I’m Talking About! I have grown to trust the Washington Post for news. I don’t always agree with their point of view; but no matter. Who to believe? The guys that gave us the stimulus and the AIG flail? Or the Washington Post? On March 13 we reported that President Obama had removed another descriptive term from the U.S. government lexicon. “Enemy combatant” we were told, was no longer to be spoken. The banned term joined “terrorists” on the verbally verbotten list. Department of Homeland Security Chief Janet Napolitano, in Congressional testimony, refused to say the word “terrorists” except when asked about it. In court filings, the Justice Department said it would no longer use the term “enemy combatant” to justify holding prisoners at Guantanamo Bay. Obama still asserts the military’s authority to hold prisoners at Guantanamo Bay. But he says that authority comes from Congress and the international laws of war, not from the president’s own wartime power. It sounds like President Obama is giving up on the “overseas contingency operation” against whoever and those captured guys, well, who knows what to call them? There is no administration-wide edict from the White House Office of Management and Budget mandating the name change, as claimed in a Washington Post report, officials said. “I sometimes am amused by things that I read in the press. I am not aware of any communication that I’ve had on that topic,” OMB director Peter Orszag told reporters. According to the newspaper, the OMB had directed the Pentagon to drop the name coined by president George W. Bush for his battle against extremism after the September 11 attacks of 2001. For critics, the phrase “global war on terror” was emblematic of an approach that was dangerously broad-brushed and which risked alienating the Islamic world. Its formal omission would be consistent with the Obama administration’s reversal of key Bush policies, including ending the war in Iraq and shutting down the Guantanamo Bay prison camp. President Obama has removed another descriptive term from the U.S. government lexicon. “Enemy combatant” will no longer be spoken. The banned term joins “terrorists” on the verbally verbotten list. In court filings Friday, the Justice Department said it will no longer use the term “enemy combatant” to justify holding prisoners at Guantanamo Bay. It sounds like President Obama is giving up on the war against whoever and those captured guys, well, who knows? About 11,500 troops, including chemical attack experts, will join the security detail as Obama takes the oath of office. Reporting from Washington – The U.S. military will be on high alert during Barack Obama’s inauguration, increasing air defenses and deploying chemical attack experts and medical units, a general said Wednesday. Air Force Gen. Victor E. Renuart Jr., who heads the military command that oversees security for North America, said the Defense Department had not been told of specific Inauguration Day threats. Nonetheless, he said, the armed services must be ready. 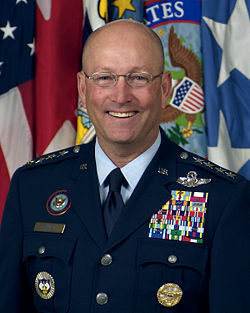 General Victor Eugene “Gene” Renuart, Jr. The preparations come amid heightened security concerns during the presidential transition. The Bush administration is planning to provide the president-elect with a series of contingency plans for potential international emergencies, including terrorist strikes and electronic attacks, that could occur after Obama takes the oath of office.